The dream of having a Centre where rural communities are the primary focus of activity, and where resourcing, research and learning bought together interested people from regional educational institutions across Gippsland in Victoria came to fruition as the Centre for Rural Communities Inc. at Monash University Churchill Campus in 1995. 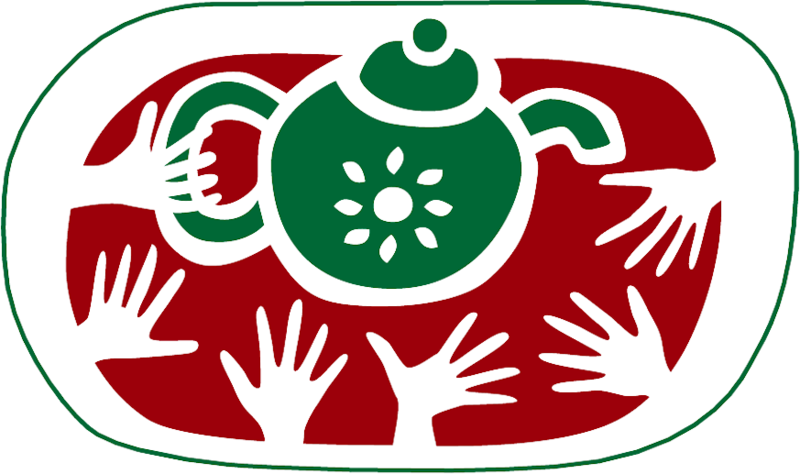 The teapot logo for the Centre, on a round table with hands reaching out, symbolises a place where rural people gather round and are welcome and their issues treated seriously and has been welcomed by rural people who understand the important inclusion of local knowledge. The Centre’s inception was at a time when rural voices were largely absent from public debate and in the absence of a rural policy the alliance with regional educational institutions provided an important link for rural people. Since this time the Centre has produced a study circle kit, Building Rural Futures through Co­operation (Sheil 1997) and a professional development manual, Growing and Learning in Rural Communities (Sheil 2000) promoting a model of collaborative engagement from within rural communities. A critical step in making this work available has been through the alliance with Monash University and its the accreditation of a Graduate Certificate in Regional Community Development, designed by the Centre for Rural Communities Inc. with funding from the Commonwealth Government through the Regional Solutions program in 2001. The Graduate Certificate is a one-year part-time program that provides access for regional workers to the resources, skills and knowledge of a major University, integrating current issues with theoretical knowledge. The cross-sectoral nature of the course reflects the need for an integrated approach to regional development and participants come from diverse backgrounds that include natural resource management, all levels of government, health, housing, enterprise development, art, tourism and recreation as well as Indigenous, women’s and community-based organisations. During the program workers make the transition to become educators by establishing study circles or projects in their community or workplace. The requirement that participants immediately put their intellectual knowledge into practice not only reinforces the relevance of this approach but ensures that local people own and guide projects and future planning. This secondary stage is accredited by TAFE providing access to library facilities and recognition of learning to community members. The program has now been offered from Monash University’s Gippsland Campus for two years. ln 2003 there were 15 participants in the course and in 2004 there were 30 participants, and the partnership between Monash and the Centre has gained recognition by business, government and community organisations with growing sponsorship of workers into the course. East Gippsland Shire Council sponsored ten rural facilitators to participate in the Graduate Certificate and the course was offered from the East Gippsland Institute of TAFE’s Forest Industry Centre to facilitate access for these participants. Latrobe City Council sponsored seven Township Facilitators in the program. All parties are pleased with the outcomes and actively participate in showcasing the work at regional and national conferences. A key factor in the course is engagement with local knowledge in a collaborative manner. For communities to move forward together, the establishment of study circles within communities facilitates people learning to work, plan and agree on future directions. This step enables local people to establish sound foundations and is an affordable and resourced option supported by a growing group of skilled facilitators. In 2003-2004 study circles were facilitated by participants in 30 communities across Gippsland involving around 300 people. Benefits include the increased capability of local people as they use these skills in community associations, arts councils, child­care centres, community banks, festival committees, housing groups on Co-operative Boards for health and housing, community newspapers, youth groups, on sporting associations, Catchment Management Authorities, Landcare and indigenous and women’s organisations. In beginning new ventures, communities are no longer isolated and a regional university campus is well placed to resource common initiatives across communities. A good example is the proliferation of rural community newspapers that inspired a Community Newspaper Conference attracting 80 participants keen to share their experiences and learn together. An outcome is a working party to look at the benefits of establishing an association for community newspapers. The presence of skilled researchers and facilitators able to incorporate local knowledge into planning and policy is welcomed by regional organisations ( external consultancies are frequently expensive and fail to meet expectations). There is also evidence that relationships between communities and organisations with rural and regional responsibilities improve as local people have the space and time to plan together prior to negotiating future directions with organisations. These communities no longer feel invisible and are actively involved in strategic planning. In October 2004 ‘A Regional Affair, the story so far, conference and DVD, provided an opportunity to showcase the work of past and present students along with people from the study circles. The venue – the Living Resource Centre of East Gippsland’s Forest Industry that teaches conservation management, timber industry harvesting, value adding in wood design and the establishment of related business incubators on the one site set the scene. David Stone the manager welcomed people to Forestech acknowledging the foresight of those that sought integration of conservation and employment issues as a key to regional development ten years previously. Dr Deborah Rose’s keynote address ‘Love and Reconciliation in the Forest’ (Rose 2004) shared stories of a dairy farmer from Southern New South Wales as he spoke of his relationship with the land on which he and his family had lived for generations. In different ways these people challenge us not to predetermine outcomes of engagement with rural people, a theme reinforced throughout the presentations by regional workers and community members as they spoke of the impact of this model of engagement for their communities. University staff, funding bodies and departmental agencies participated in a closing panel speaking of opportunities and constraints of community engagement from their perspectives. 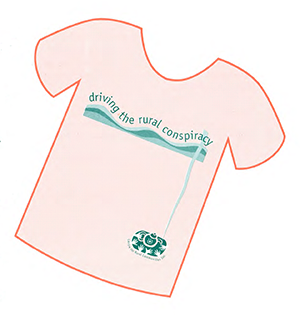 A highlight of the event was the launching of tea-shirts featuring ‘driving the rural conspiracy’ to promote consideration of a rural policy in Australia similar to that in the European Union. Again the teapot is featured acknowledging the importance of people from within each community meeting and conspiring – breathing life into – vibrant futures for their communities, not in isolation but in partnership with other rural communities, urban communities, government, industry and of course educational institutions (Sher & Sher 1994). The Victorian Universities Regional Research Network (VURRN) is co-operating with Monash University to roll-out the Graduate Certificate to other regional universities beginning with RMIT’s Centre for Regional and Rural Development in Hamilton in 2005. Funding is currently being sought to extend this one-year Graduate Certificate to a Graduate Diploma incorporating subjects on community business and governance as well as accessible triple bottom line indicators to provide relevant feedback for community organisations as they increasingly take on ownership of ventures from within communities. Continuing access to resources and knowledge within regional university campuses will provide a key link in this process. Copy of the original article (PDF265 Kb) available here.